We have all had experience with what is known as “buyer’s remorse.” When we buy something that we thought we really wanted only to get home and regret making that purchase. This most often happens with things that are either out of our price range or insanely low prices. You have to have a discerning eye when you make everyday purchases, if something is outrageously overpriced, it must be the best right? Or is it that you should pay as little as possible and get a subpar product that you learn to live with until it ultimately breaks on you. Neither of these are the correct idea! The best way to get the most bang for your buck is to do your research. And this advice applies to all purchases but especially in the case of New Orleans computer repair prices. 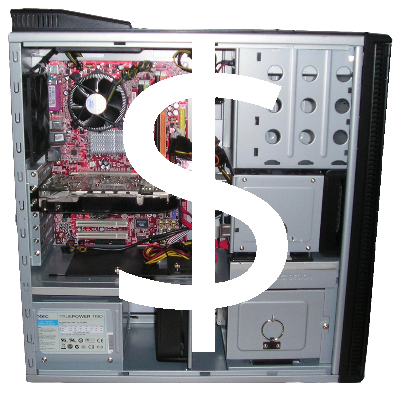 We most often see inflated pricing when it comes to corporate or national computer repair services. They promise the newest, best, highest, most innovative and every other thing under the sun in order to get your business. Then they hold your device, charge you a litany of fees and you have paid almost as much as a new device would have cost. Not a very effective business plan according to us at Wisp. You could also find some extremely cheap New Orleans computer repair prices. But do you know what kind of service you are getting? What kind of professionals you are willingly handing over your device to? Many repair services will help you fix one minor problem you had, download a series of viruses and problems to your computer, just so that you can get you to come back in and pay more than the last service. Sure, not all cheap computer repairs are a scam but when you are getting your devices repaired, you are paying for a knowledge. And more knowledge always cost more. Instead choose the proven and trustworthy professionals at Wisp Electronics. Our computer repair prices are competitive but fair. And while we love to see our clients, since we often fix the problem the first time, you may only see us once! You can take a look at our different computer repair prices on our Services Page or you can bring your device into our shop on Manhattan Boulevard and we can perform free diagnostics on your machine and solve the issue.